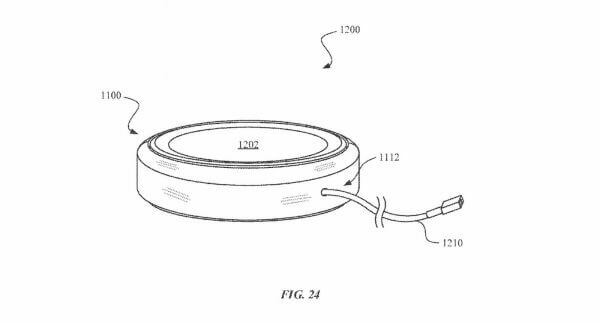 Apple was granted a patent today which goes in the direction of wireless charging. It is a base on which the user could ask their iPhone and have a wireless charging. Samsung Galaxy already offer this feature, to the extent that the manufacturer has decided to improve them. Recharging was long at first, the time was reduced from with fast charging. It's not as fast as the fast charging with a cable, but delays are more than correct.